Electronic, mobile, digital health approaches in cardiology and for cardiovascular health. JMIR Cardio (inaugural Editor-in-Chief: Nico Bruining) is a sister journal of the Journal of Medical Internet Research (JMIR), the top cited journal in health informatics (Impact Factor 2017: 4.671). It covers electronic / digital health approaches in cardiology and for cardiovascular health, which includes ehealth and mhealth approaches for the prevention and treatment of cardiovascular conditions. JMIR Cardio is also the official journal of the European Congress on eCardiology and eHealth. Best papers presented at the conference are selected for JMIR Cardio and as official partner organization, JMIR authors receive a discount (Promo Code: JMIRECARDIO17). Background: The uptake of digital health technology (DHT) has been surprisingly low in clinical practice. Despite showing great promise to improve patient outcomes and disease management, there is limited information on the factors that contribute to the limited adoption of DHT, particularly for hypertension management. Objective: This scoping review provides a comprehensive summary of barriers to and facilitators of DHT adoption for hypertension management reported in the published literature with a focus on provider- and patient-related barriers and facilitators. Methods: This review followed the methodological framework developed by Arskey and O’Malley. Systematic literature searches were conducted on PubMed or Medical Literature Analysis and Retrieval System Online, Cumulative Index to Nursing and Allied Health Literature, and Excerpta Medica database. Articles that reported on barriers to and/or facilitators of digital health adoption for hypertension management published in English between 2008 and 2017 were eligible. Studies not reporting on barriers or facilitators to DHT adoption for management of hypertension were excluded. A total of 2299 articles were identified based on the above criteria after removing duplicates, and they were assessed for eligibility. Of these, 2165 references did not meet the inclusion criteria. After assessing 134 studies in full text, 98 studies were excluded (full texts were either unavailable or studies did not fulfill the inclusion criteria), resulting in a final set of 32 articles. In addition, 4 handpicked articles were also included in the review, making it a total of 36 studies. Results: A total of 36 studies were selected for data extraction after abstract and full-text screening by 2 independent reviewers. All conflicts were resolved by a third reviewer. Thematic analysis was conducted to identify major themes pertaining to barriers and facilitators of DHT from both provider and patient perspectives. 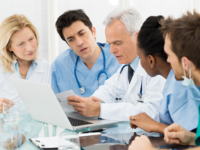 The key facilitators of DHT adoption by physicians that were identified include ease of integration with clinical workflow, improvement in patient outcomes, and technology usability and technical support. Technology usability and timely technical support improved self-management and patient experience, and positive impact on patient-provider communication were most frequently reported facilitators for patients. Barriers to use of DHTs reported by physicians include lack of integration with clinical workflow, lack of validation of technology, and lack of technology usability and technical support. Finally, lack of technology usability and technical support, interference with patient-provider relationship, and lack of validation of technology were the most commonly reported barriers by patients. Conclusions: Findings suggest the settings and context in which DHTs are implemented and individuals involved in implementation influence adoption. Finally, to fully realize the potential of digitally enabled hypertension management, there is a greater need to validate these technologies to provide patients and providers with reliable and accurate information on both clinical outcomes and cost effectiveness. Background: Polysomnography is the gold standard for detection of central sleep apnea in patients with stable heart failure. However, this procedure is costly, time consuming, and a burden to the patient and therefore unsuitable as a screening method. An electronic health (eHealth) app to measure overnight oximetry may be an acceptable screening alternative, as it can be automatically analyzed and is less burdensome to patients. Objective: This study aimed to assess whether overnight pulse oximetry using a smartphone-compatible oximeter can be used to detect central sleep apnea in a population with stable heart failure. Methods: A total of 26 patients with stable heart failure underwent one night of both a polygraph examination and overnight saturation using a smartphone-compatible oximeter. 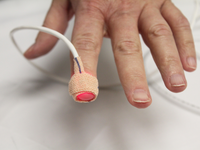 The primary endpoint was agreement between the oxygen desaturation index (ODI) above or below 15 on the smartphone-compatible oximeter and the diagnosis of the polygraph. Results: The median age of patients was 66.4 (interquartile range, 62-71) years and 92% were men. The median body mass index was 27.1 (interquartile range, 24.4-30.8) kg/m2. Two patients were excluded due to incomplete data, and two other patients were excluded because they could not use a smartphone. Seven patients had central sleep apnea, and 6 patients had obstructive sleep apnea. Of the 7 (of 22, 32%) patients with central sleep apnea that were included in the analysis, 3 (13%) had an ODI≥15. Of all patients without central sleep apnea, 8 (36%) had an ODI<15. The McNemar test yielded a P value of .55. Conclusions: Oxygen desaturation measured by this smartphone-compatible oximeter is a weak predictor of central sleep apnea in patients with stable heart failure. Background: Behavioral therapies, such as electronic counseling and self-monitoring dispensed through mobile apps, have been shown to improve blood pressure, but the results vary and long-term engagement is a challenge. Machine learning is a rapidly advancing discipline that can be used to generate predictive and responsive models for the management and treatment of chronic conditions and shows potential for meaningfully improving outcomes. Objective: The objectives of this retrospective analysis were to examine the effect of a novel digital therapeutic on blood pressure in adults with hypertension and to explore the ability of machine learning to predict participant completion of the intervention. Methods: Participants with hypertension, who engaged with the digital intervention for at least 2 weeks and had paired blood pressure values, were identified from the intervention database. Participants were required to be ≥18 years old, reside in the United States, and own a smartphone. The digital intervention offers personalized behavior therapy, including goal setting, skill building, and self-monitoring. Participants reported blood pressure values at will, and changes were calculated using averages of baseline and final values for each participant. Machine learning was used to generate a model of participants who would complete the intervention. Random forest models were trained at days 1, 3, and 7 of the intervention, and the generalizability of the models was assessed using leave-one-out cross-validation. Results: The primary cohort comprised 172 participants with hypertension, having paired blood pressure values, who were engaged with the intervention. Of the total, 86.1% participants were women, the mean age was 55.0 years (95% CI 53.7-56.2), baseline systolic blood pressure was 138.9 mmHg (95% CI 136.6-141.3), and diastolic was 86.2 mmHg (95% CI 84.8-87.7). Mean change was –11.5 mmHg for systolic blood pressure and –5.9 mmHg for diastolic blood pressure over a mean of 62.6 days (P<.001). Among participants with stage 2 hypertension, mean change was –17.6 mmHg for systolic blood pressure and –8.8 mmHg for diastolic blood pressure. Changes in blood pressure remained significant in a mixed-effects model accounting for the baseline systolic blood pressure, age, gender, and body mass index (P<.001). A total of 43% of the participants tracking their blood pressure at 12 weeks achieved the 2017 American College of Cardiology/American Heart Association definition of blood pressure control. The 7-day predictive model for intervention completion was trained on 427 participants, and the area under the receiver operating characteristic curve was .78. Conclusions: Reductions in blood pressure were observed in adults with hypertension who used the digital therapeutic. The degree of blood pressure reduction was clinically meaningful and achieved rapidly by a majority of the studied participants. Greater improvement was observed in participants with more severe hypertension at baseline. A successful proof of concept for using machine learning to predict intervention completion was presented. Background: Blood pressure (BP) is a key modifiable risk factor for patients with chronic kidney disease (CKD), with current guidelines recommending strict control to reduce the risk of progression of both CKD and cardiovascular disease. Trials involving BP lowering require multiple visits to achieve target BP, which increases the costs of such trials, and in routine care, BP measured in the clinic may not accurately reflect the usual BP. Objective: We sought to assess whether a telemonitoring system for BP (using a Bluetooth-enabled BP machine that could transmit BP measurements to a tablet device installed with a bespoke app to guide the measurement of BP and collect questionnaire data) was acceptable to patients with CKD and whether patients would provide sufficient BP readings to assess variability and guide treatment. Methods: A total of 25 participants with CKD were trained to use the telemonitoring equipment and asked to record BP daily for 30 days, attend a study visit, and then record BP on alternate days for the next 60 days. They were also offered a wrist-worn applanation tonometry device (BPro) which measures BP every 15 minutes over a 24-hour period. Participants were given questionnaires at the 1- and 3-month time points; the questionnaires were derived from the System Usability Scale and Technology Acceptance Model. All eligible participants completed the study. Results: Mean participant age was 58 (SD 11) years, and mean estimated glomerular filtration rate was 36 (SD 13) mL/min/1.73m2. 13/25 (52%) participants provided >90% of the expected data and 18/25 (72%) provided >80% of the expected data. The usability of the telemonitoring system was rated highly, with mean scores of 84.9/100 (SE 2.8) after 30 days and 84.2/100 (SE 4.1) after 90 days. The coefficient of variation for the variability of systolic BP telemonitoring was 9.4% (95% CI 7.8-10.9) compared with 7.9% (95% CI 6.4-9.5) for the BPro device, P=.05 (and was 9.0% over 1 year in a recently completed trial with identical eligibility criteria), indicating that most variation in BP was short term. Conclusions: Telemonitoring is acceptable for patients with CKD and provides sufficient data to inform titration of antihypertensive therapies in either a randomized trial setting (comparing BP among different targets) or routine clinical practice. Such methods could be employed in both scenarios and reduce costs currently associated with such activities. Trial Registration: International Standard Randomized Controlled Trial Number ISRCTN13725286; http://www.isrctn.com/ISRCTN13725286 (Archived by WebCite at http://www.webcitation.org/74PAX51Ji). Background: Exacerbation of chronic obstructive pulmonary disease (COPD) and chronic heart failure (CHF) are associated with high health care costs owing to increased emergency room (ER) visits and hospitalizations. 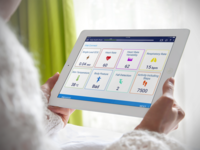 Remote patient monitoring (RPM) interventions aim to improve the monitoring of symptoms to detect early deterioration and provide self-management strategies. As a result, RPM aims to reduce health resource utilization. To date, studies have inconsistently reported the benefits of RPM in chronic illnesses. The Smart Program is an RPM intervention that aims to provide clinical benefit to patients and economic benefit to health care payers. Objective: This study aims to economically evaluate the potential benefits of the Smart Program in terms of hospitalizations and ER visits and, thus, associated health care costs from the perspective of the public health care system. Methods: Seventy-four patients diagnosed with COPD or CHF from one hospital site were included in this one-group, pre-post study. The study involved a secondary data analysis of deidentified data collected during the study period – from 3 months before program initiation (baseline), during the program, to 3 months after program completion (follow-up). Descriptive analysis was conducted for the study population characteristics at baseline, the clinical frailty score at baseline and 3-month follow-up, client satisfaction at 3-month follow-up, and number and costs of ER visits and hospitalizations throughout the study period. Furthermore, the cost of the Smart Program over a 3-month period was calculated from the perspective of the potential implementer. Results: The baseline characteristics of the study population (N=74) showed that the majority of patients had COPD (50/74, 68%), were female (42/74, 57%), and had an average age of 72 (SD 12) years. Using the Wilcoxon signed-rank test, the number of ER visits and hospitalizations, including their associated costs, were significantly reduced between baseline and 3-month follow-up (P<.001). The intervention showed a potential 68% and 35% reduction in ER visits and hospitalizations, respectively, between the 3-month pre- and 3-month postintervention period. The average cost of ER visits reduced from Can $243 at baseline to Can $67 during the 3-month follow-up, and reduced from Can $3842 to Can $1399 for hospitalizations. Conclusions: In this study, the number and cost of ER visits and hospitalizations appeared to be markedly reduced for patients with COPD or CHF when comparing data before and after the Smart Program implementation. Recognizing the limitations of the one-group, pre-post study design, RPM requires an upfront investment, but it has the potential to reduce health care costs to the system over time. This study represents another piece of evidence to support the potential value of RPM among patients with COPD or CHF. Background: Telemonitoring interventions for the management of heart failure have seen limited adoption in Canadian health systems, but isolated examples of telemonitoring programs do exist. 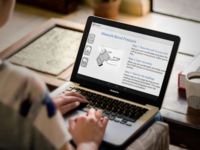 An example of such a program was launched in a specialty heart failure clinic in Toronto, Canada, and a recent implementation evaluation concluded that reducing the cost of delivering the program is necessary to ensure its sustainability and scalability. Objective: The objectives of this study were to (1) understand which components of the telemonitoring program could be modified to reduce costs and adapted to other contexts while maintaining program fidelity and (2) describe the changes made to the telemonitoring program to enable its sustainability within the initial implementation site and scalability to other health organizations. Methods: Semistructured interviews probed the experiences of patients (n=23) and clinicians (n=8) involved in the telemonitoring program to identify opportunities for cost reduction and resource optimization. Ideas for adapting the program were informed by the interview results and prioritized based on (1) potential impact for sustainability and scalability, (2) feasibility, and (3) perceived risks to negatively impacting the program’s ability to yield desired health outcomes. Results: A total of 5 themes representing opportunities for cost reduction were discussed, including (1) Bring Your Own Device (BYOD), (2) technical support, (3) clinician role, (4) duration of enrollment, and (5) intensity of monitoring. 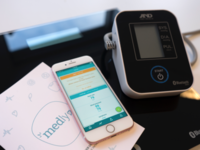 The hardware used for the telemonitoring system and the modalities of providing technical support were found to be highly adaptable, which supported the decision to implement a BYOD model, whereby patients used their own smartphone, weight scale, and blood pressure cuff. Changes also included the development of a website aimed at reducing the burden on a technical support telehealth analyst. In addition, the interviews suggested that although it is important to have a clinician who is part of a patient’s circle of care monitoring telemonitoring alerts, the skill level and experience were moderately adaptable. Thus, a registered nurse was determined to be more cost-effective and was hired to replace the existing nurse practitioners in the frontline management of telemonitoring alerts and take over the technical support role from a telehealth analyst. Conclusions: This study provides a user-centered example of how necessary cost-reduction actions can be taken to ensure the sustainability and scalability of telemonitoring programs. In addition, the findings offer insights into what components of a telemonitoring program can be safely adapted to ensure its integration in various clinical settings. Background: Patients use Web-based medical information to understand medical conditions and treatments. A number of efforts have been made to understand the quality of professionally created content; however, none have described the quality of advice being provided between anonymous members of Web-based message boards. Objective: The objective of this study was to characterize the quality of medical information provided between members of an anonymous internet message board addressing treatment with an implantable cardioverter-defibrillator (ICD). Methods: We quantitatively analyzed 2 years of discussions using a mixed inductive-deductive framework, first, for instances in which members provided medical advice and, then, for the quality of the advice. Results: We identified 82 instances of medical advice within 127 discussions. Advice covered 6 topical areas: (1) Device information, (2) Programming, (3) Cardiovascular disease, (4) Lead management, (5) Activity restriction, and (6) Management of other conditions. Across all advice, 50% (41/82) was deemed generally appropriate, 24% (20/82) inappropriate for most patients, 6% (5/82) controversial, and 20% (16/82) without sufficient context. Proportions of quality categories varied between topical areas. We have included representative examples. Conclusions: The quality of advice shared between anonymous members of a message board regarding ICDs varied considerably according to topical area and the specificity of advice. This report provides a model to describe the quality of the available Web-based patient-generated material. Background: Mobile health (mHealth) decision tools for implantable cardioverter defibrillator may increase physician knowledge and overall patient care. Objective: The goals of the ICD-TEACH pilot study were to design a smartphone app or mHealth technology with a novel physician decision support algorithm, implement a direct referral mechanism for device implantation from the app, and assess its overall usability and feasibility with physicians involved in the care of patients with an implantable cardioverter defibrillator. Methods: The initial design and development of the mHealth or smartphone app included strategic collaboration from an information technology company and key stakeholders including arrhythmia specialists (electrophysiologists), general cardiologists, and key members of the hospital administrative team. A convenience sampling method was used to recruit general internists or cardiologists that refer to our local tertiary care center. Physicians were asked to incorporate the mHealth app in daily clinical practice and avail the decision support algorithm and direct referral feature to the arrhythmia clinic. Feasibility assessment, in the form of a physician survey, was conducted after initial mHealth app use (within 3 months) addressing the physicians’ overall satisfaction with the app, compliance, and reason for noncompliance; usability assessment of the mHealth app was addressed in the physician survey for technical or hardware problems encountered while using the app and suggestions on improvement. Results: A total of 17 physicians agreed to participate in the pilot study with 100% poststudy survey response rate. Physicians worked in an academic practice, which included both inpatient and ambulatory care. System Usability Scale was applied with an average score of 77 including the 17 participants (>68 points is above average). Regarding the novel physician decision support algorithm for implantable cardioverter defibrillator referral, 11% (1/9) strongly agreed and 78% (7/9) agreed that the algorithm for device eligibility was easy to use. Only 1 patient was referred through the direct referral system via the mHealth app during the pilot study of 3 months. Feasibility assessment showed that 46% (5/11) strongly agreed and 55% (6/11) agreed that the mHealth app would be utilized if integrated into an electronic medical record (EMR) where data are automatically sent to the referring arrhythmia clinic. Conclusions: The ICD-TEACH pilot study revealed high usability features of a physician decision support algorithm; however, we received only 1 direct referral through our app despite supportive feedback. A specific reason from our physician survey included the lack of integration into an EMR. Future studies should continue to systematically evaluate smartphone apps in cardiology to assess usability, feasibility, and strategies to integrate into daily workflow. Background: Postdischarge interventions are limited in patients with acute coronary syndrome (ACS) due to few scheduled visits to outpatient clinics and travel from remote areas. Smartphones have become a viable lifestyle technology to deliver educational and health interventions following discharge from hospital. Objective: The purpose of this study was to identify the requirements for the delivery of a mobile health intervention for the postdischarge management of patients with ACS via a multidisciplinary focus group. Methods: We conducted a focus group among health care professionals (n=10) from a large metropolitan hospital in May 2017. These participants from a multidisciplinary team contributed to a 1-hour discussion by responding to 8 questions relating to the applicability of smartphone-based educational and health interventions. Descriptive statistics of the focus group data were analyzed using SPSS. The qualitative data were analyzed according to relevant themes extracted from the focus group transcription, using a qualitative description software program (NVivo 11) and an ontology-based concept mapping approach. Results: The mean age of the participants was 47 (SD 8) years: 3 cardiologists; 2 nurse practitioners; 2 clinical nurses; 2 research scientists; and 1 physiotherapist. Of these participants, 70% (7/10) had experience using electronic health intervention during their professional practice. A total of 7 major themes and their subthemes emerged from the qualitative analysis. Health care providers indicated that comprehensive education on diet, particularly providing daily meal plans, is critical for patients with ACS. In terms of ACS symptoms, a strong recommendation was to focus on educating patients instead of daily monitoring of chest pain and shortness of breathing due to subjectivity and insufficient information for clinicians. Participants pointed that monitoring health measures such as blood pressure and body weight may result in increased awareness of patient physical health, yet may not be sufficient to support patients with ACS via the smartphone-based intervention. Therefore, monitoring pain and emotional status along with other health measures was recommended. Real-time support via FaceTime or video conferencing was indicated as motivational and supportive for patient engagement and self-monitoring. The general demographics of patients with ACS being older, having a low educational level, and a lack of computer skills were identified as potential barriers for engagement with the smartphone-based intervention. 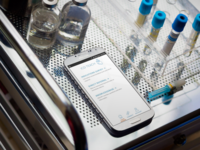 Conclusions: A smartphone-based program that incorporates the identified educational materials and health interventions would motivate patients with ACS to engage in the multidisciplinary intervention and improve their health outcomes following discharge from hospital. Background: People with mental health disorders live, on average, 20 years less than those without, often because of poor physical health including cardiovascular disease (CVD). Evidence-based interventions are required to reduce this lifespan gap. 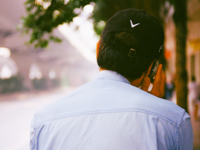 Objective: This study aimed to develop, test, and evaluate a mobile phone–based lifestyle program (MyHealthPA) to help people with mental health problems improve key health risk behaviors and reduce their risk of CVD. Methods: The development of MyHealthPA occurred in 3 stages: (1) scoping of the literature, (2) a survey (n=251) among people with and without the experience of mental health problems, and (3) program development informed by stages 1 and 2. A small pilot trial among young people with and without mental health disorders was also conducted. Participants completed a baseline assessment and were given access to the MyHealthPA program for a period of 8 weeks. They were then asked to complete an end-of-treatment assessment and a follow-up assessment 1 month later. Results: In the study, 28 young people aged 19 to 25 years were recruited to the pilot trial. Of these, 12 (12/28, 43%) had been previously diagnosed with a mental illness. Overall, 12 participants (12/28, 43%) completed the end-of-treatment assessment and 6 (6/28, 21%) completed the follow-up assessment. Small improvements in fruit and vegetable consumption, level of physical activity, alcohol use, and mood were found between baseline and end of treatment and follow-up, particularly among people with experience of mental health issues. Most participants (history of mental illness: 4/7, 57%; no history of mental illness: 3/5, 60%) reported the program had above average usability; however, only 29% (2/7, no history of mental illness) to 40% (2/5, history of mental illness) of participants reported that they would like to use the program frequently and would recommend it to other young people. Participants also identified a number of ways in which the program could be improved. Conclusions: This study describes the formative research and process of planning that formed the development of MyHealthPA and the evidence base underpinning the approach. The MyHealthPA program represents an innovative approach to CVD risk reduction among people with mental health problems. 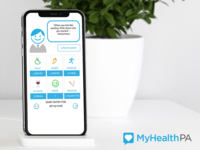 MyHealthPA appears to be an acceptable, easy-to-use, and potentially effective mHealth intervention to assist young people with mental illness to monitor risk factors for CVD. However, ways in which the program could be improved for future testing and dissemination were identified and discussed. Background: Barriers to attending cardiac rehabilitation (CR), including cultural and linguistic differences, may be addressed by recent technological developments. However, the feasibility of using these approaches in culturally and linguistically diverse patients is yet to be determined. Objective: This study aims to assess the use of mobile technologies and features, as well as confidence in utilization across patients speaking different languages at home (ie, English, Mandarin Chinese, and a language other than English and Mandarin [other]) and are both eligible and physically suitable for CR. In addition, the study aims to determine the sociodemographic correlates of the mobile technology/feature use, including language spoken at home in the three groups mentioned above. Methods: This is a descriptive, case matched, comparative study. Age and gender-matched patients speaking English, Mandarin and other languages (n=30/group) eligible for CR were surveyed for their mobile technology and mobile feature use. Results: ‘Participants had a mean age of 66.7 years (SD 13, n=90, range 46-95), with 53.3% (48/90) male. The majority (82/90, 91.1%) used at least one technology device, with 87.8% (79/90) using mobile devices, the most common being smartphones (57/90, 63.3%), tablets (28/90, 31.1%), and text/voice-only phones (24/90, 26.7%). More English-speaking participants used computers than Mandarin or “other” language speaking participants (P=.003 and .02) and were more confident in doing so compared to Mandarin-speaking participants (P=.003). More Mandarin-speaking participants used smartphones compared with “other” language speaking participants (P=.03). Most commonly used mobile features were voice calls (77/82, 93.9%), text message (54/82, 65.9%), the internet (39/82, 47.6%), email (36/82, 43.9%), and videoconferencing (Skype or FaceTime [WeChat or QQ] 35/82, 42.7%). Less Mandarin-speaking participants used emails (P=.001) and social media (P=.007) than English-speaking participants. Speaking Mandarin was independently associated with using smartphone, emails, and accessing the web-based medication information (OR 7.238, 95% CI 1.262-41.522; P=.03, OR 0.089, 95% CI 0.016-0.490; P=.006 and OR 0.191, 95% CI 0.037-0.984; P=.05). Conclusions: This study reveals a high usage of mobile technology among CR patients and provides further insights into differences in the technology use across CALD patients in Australia. The findings of this study may inform the design and implementation of future technology-based CR. Background: Patients’ engagement in health care decision making is constituted by at least two behaviors: health information seeking and active involvement in medical decisions. Previous research reported that older adults desire a lot of information, but want to participate in decision making to a lesser degree. However, there is only limited evidence on the effect of desire for health information on seniors’ perceived confidence in making an informed choice (ie, decision self-efficacy). Objective: The goal of this study was to investigate the role desire for health information has for older patients. More specifically, it tested whether decision self-efficacy increases as a function of an assisted computer-based information search. Additionally, the study allowed insights into the sources seniors with hypertension prefer to consult. Methods: A sample of 101 senior citizens (aged ≥60 years) with high blood pressure in the Italian-speaking part of Switzerland answered a questionnaire before and after an informational intervention was applied. The intervention consisted of offering additional information on hypertension from five different sources and of providing the information the participant desired. Preference for receiving this information was the major independent variable. The main outcome measure was decision self-efficacy (assessed at baseline and posttest). Analyses of covariance were conducted to detect differences between and within who desired additional hypertension-related content (intervention group) and “information avoiders” (control group). Results: Health care professionals firmly remain the preferred and most trusted source of health information for senior patients. The second most consulted source was the internet (intervention group only). However, among the total sample, the internet obtained the lowest credibility score. A significant increase in decision self-efficacy occurred in seniors consulting additional information compared to information avoiders (F1,93=28.25, P<.001). 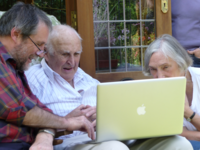 Conclusions: Consulting health information on a computer screen, and assistance by a computer-savvy person, may be a helpful activity to increase perceived confidence in making treatment decisions in seniors with hypertension.